St Andrews is a compact town, easily accessible by bicycle. Cycling is a great way to stay fit, have fun and make sure to arrive at those meetings on time! Here in St Andrews we have a lot of support to help you on your way. 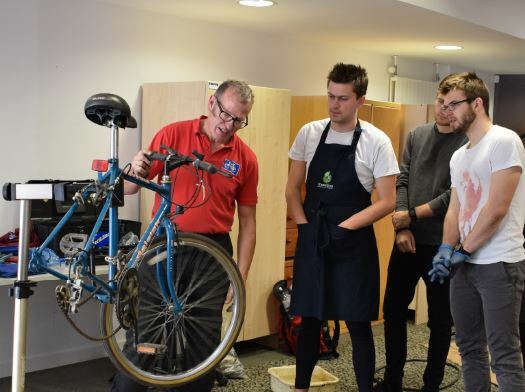 We run Training Courses, operate a Bike Loan Scheme, organise Led Rides, have Bike Maintenance Kits in all University halls of residence, and Cycle Repair Hubs in DRA and ABH, run regular Bike Maintenance Sessions (Bike Pool), organise fun events, offer advice, and more! All of our events are open to everyone: University staff and students, local residents and visitors. Two key resources to help you on your way include the St Andrews Smart Travel Map and Cycling Scotland’s Essential Cycling Skills Guide. Here are some key websites that will give you all of the information you need to get on your bike. Want to know the best way to get around town on a bike? Don’t know where you can park your bike? Why not check out our Smart Travel Map of St Andrews and/or join us on a led ride. Cycle Streets is an easy-to-use, comprehensive journey planner advises you not only of the time it will take, but also the route break-down, distance, elevation, calories burned, carbon saved, and how busy the route is likely to be. St Andrews Space for Cycling is campaigning for safe cycling space for people of all ages in and around St Andrews, and to make St Andrews the most cycle friendly town in Scotland. More information can be found on their Facebook page. 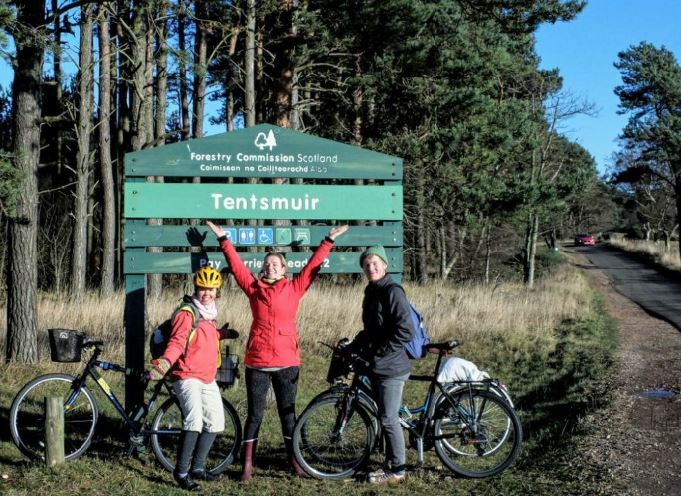 The group is part of the Cycling UK Big Bike Revival project in Scotland and they offer rides led by trained cycle ride leaders. The rides will be either a Saturday or a Sunday most weekends. Dates and further information can be found on their website and Facebook page. Please see their Facebook group for more details. There are plenty of local bicycle shops and services to cater for your cycling needs. Here are three of the main businesses we know of. If we have missed anyone, please do not hesitate to email us at admin@gostandrews.org and we will update this page with the details. We are a student-run bike rickshaw service offering tours and transport around the historic town of St. Andrews. All enquiries can be directed to cts5@st-andrews.ac.uk. More information can be found on the Facebook page. Cyclepath offers everything to keep your bike on the road. From simple safety checks through to complete strip-down and rebuild, they are equipped to meet all your bike needs at prices you’ll appreciate. They can collect and return your bike to any address in North East Fife for a modest extra charge, and also provide a regular service in Edinburgh. More information can be found on their Facebook page and website. Cycling equipment stockists based in St Andrews, Dundee and Kirkaldy. They offer bicycle servicing, repairing and sell a range of new bicycles. They also offer a daily/weekly bicycle hire scheme and can offer a pro bike fit. Spokes also form part of the University’s Cycle to Work Scheme. Bicycle shop based at Leuchars. They offer services, repairs and sales. They are also part of the University of St Andrews’ Cycle to Work scheme. More information can be found on their website or by giving them a call on 01334 838989. Another participant in the University’s Cycle to Work scheme, 2 Wheel Care in Pitscottie can help you with everything from new or used bikes, repairs, servicing, parts, general advice or mechanical support for cycling events. Find out more information on their website. St Andrews Bike Pool: Dates can be found on the Cycling in St Andrews Facebook page. 1. Orders can be placed directly with Cycle Solutions either at one of the roadshows, online or by phone on 0330 100 2480. Once the order is confirmed Cycle Solutions will upload a copy of the employee hire agreement contract. Once the employee and the employer approve the hire agreement contract Cycle Solutions will contact the employee to discuss the free delivery of their goods. In the month following the despatch of goods your salary sacrifice payments will commence. If you have any questions then please contact Cycle Solutions on 0330 100 2480 or by email to info@cyclesolutions.co.uk. 2. Orders can be placed directly at one of the local bike shops detailed below. Once you have chosen the bike you would like and have mentioned to the store that you would like to use this scheme the store will then process the relevant paperwork. Do you like repairing bikes? Free food? Going on social rides? Bike to Work Breakfasts? Watching movies? Improving cycling infrastructure? Going to the pub? Whatever it is, we have the event for you. Keep up to date with all of the latest events on the Cycling in St Andrews Facebook Event Page. Want to get involved? Have any questions? Why not send Transition an email at: transition@st-andrews.ac.uk. There are loads of ways you can help! All comments and questions, no matter how big or small, are very welcome. Bike Pool offers regular maintenance sessions for anyone looking to make their bicycle run smooth. Just turn up to a session with your bike and join in. If you would like to become a Bike Pool volunteer we run regular, one day training sessions that will teach you more in-depth skills. We also have limited funding for volunteers to attend a Velotech silver course that will enable you to fix bikes up to a recognised standard. 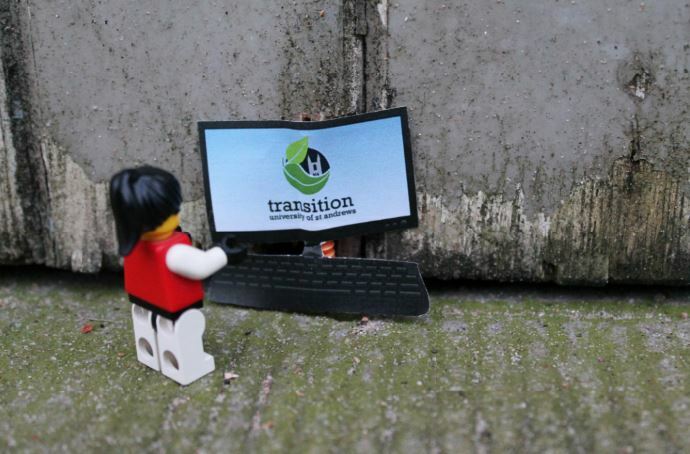 Transition are currently looking for cycle leaders. We will arrange training via the Cycle Scotland Ride Leader programme for those of you who would like to lead rides. This is an excellent vocational skill that will enhance your experience and CV, and will be at no cost to you! Email transition@st-andrews.ac.uk to register your interest. There are a selection of cycling-related links to help you on your way listed on this website. Let us know if there are any other links worth sharing and we’ll be sure to pop them on. Email the team at: admin@gostandrews.org.